After bringing everyday coverage of the recently concluded Bermuda Open Squash Championships, www.islandstats.com now brings you back up to speed with Dylan Muldoon and his No. 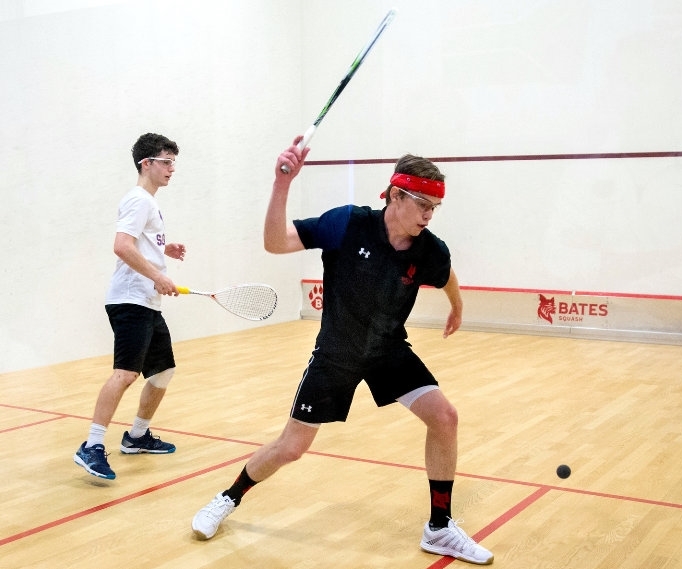 18 nationally ranked Bates Men's Squash teammates as they defeated Colby 8-1 in a battle featuring four five-game matches, in the Quarter-Final Round of Summers Cup (C Division) play at CSA Men's Team Nationals. First-year Muldoon won in four games at the number 9 position defeating Matthew Epstein. Epstein won the first game 11-5, but Muldoon would level the game at 1 – 1 when he won the second game 11-7. Muldoon would go in front wining the third game 11-4, he would then close out the match winning the fourth game 12-10.